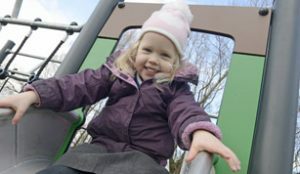 A new play area has opened at Westfield Park, Beaconhill and has already received the stamp of approval from local youngsters and their families as can bee seen in these pictures. 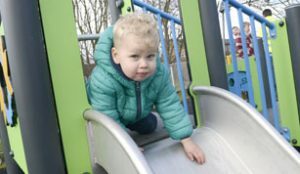 The facility cost in excess of £40,000 and was funded by Cramlington Town Council as well as eternal grants sourced by the council. 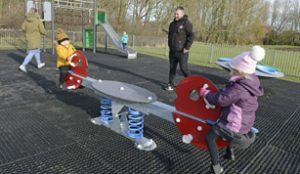 Councillor Barry Flux said ‘This is a great facility for the residents of Beaconhill and I’m delighted with the range of play equipment that is now available to local residents’. 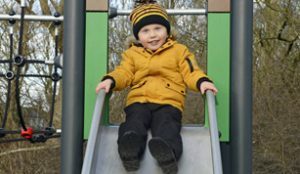 The play equipment was sourced through Kompan whose area manager Paul Taylor stated ‘ I’m delighted that we have been able to offer continued support to Cramlington Town Council and provide this state-of-the-art play equipment. 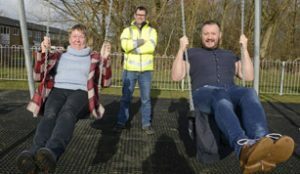 Main Picture: Cramlington Town Councillors Pat Heard and Barry Flux (right) in the new play area with Paul Taylor from Kompan, Cramlington Town Services Manager Daryl Wood and local residents Nadine Andrews and her children Jaxon and Erin and Steven Logan with his son Daniel.